Sorry Canadians, this doesn’t apply to us — unless you’re taking a trip south. Miss Jessie’s, along with some other natural hair care brands, have been in Target for a few months now — not at any of the Targets I’ve visited — but that may be changing. 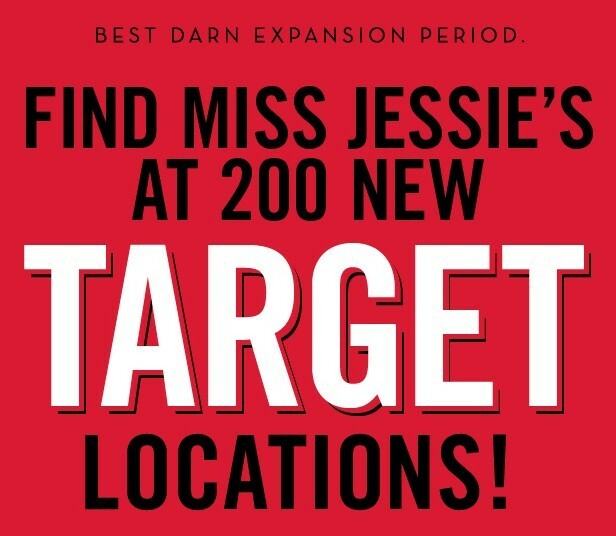 Miss Jessie’s has just expanded into 200 new locations… I’m just waiting for them to come to Buffalo 😉 That’s only two hours away! I digress. Really, my American sisters, this means these products are more accessible to those of you who use them. Remember this isn’t a comment on whether or not to use Miss Jessie’s. Please don’t leave me a message in the comments about how you feel about Miss Jessie’s. It’s all about information sharing. I’m just giving you the information about where to find the products if you’re interested in them or if you use them. Click here for details. Oh, happy Thanksgiving American family! Enjoy some turkey for me! Next Post Black Friday sales — are you in?